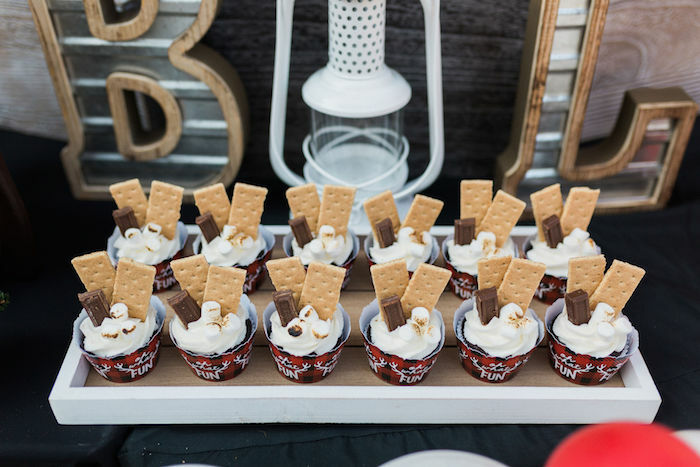 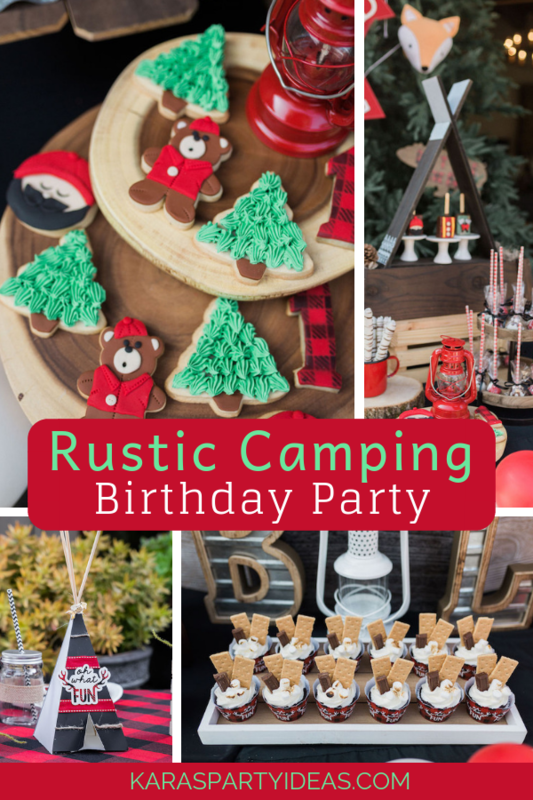 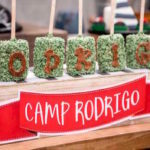 Sharpen your axe and take a swing into this Rustic Camping Birthday Party; full of adventuring! 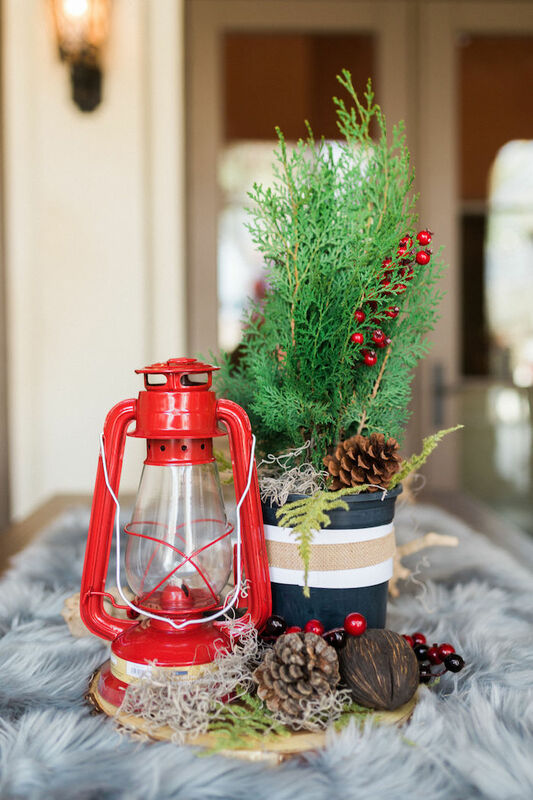 Styled by Delfina Molina out of Bakersfield, CA. 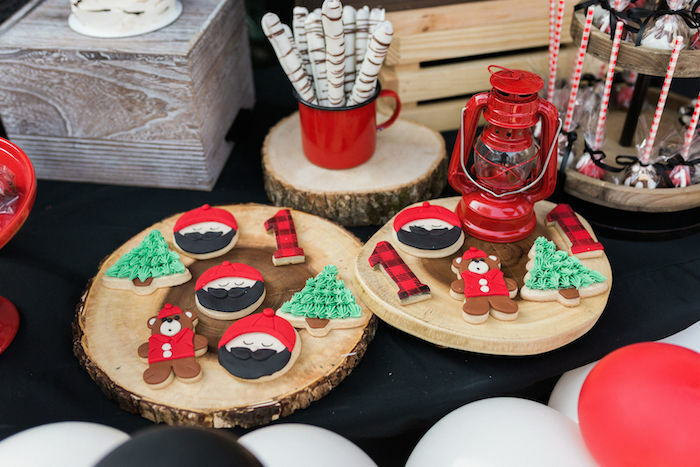 USA, this awesome first birthday bash is full of fabulous party ideas that are sure to keep you toasty and warm! 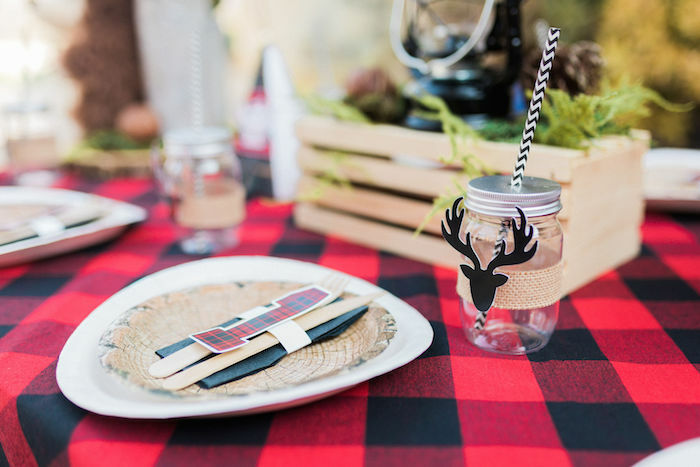 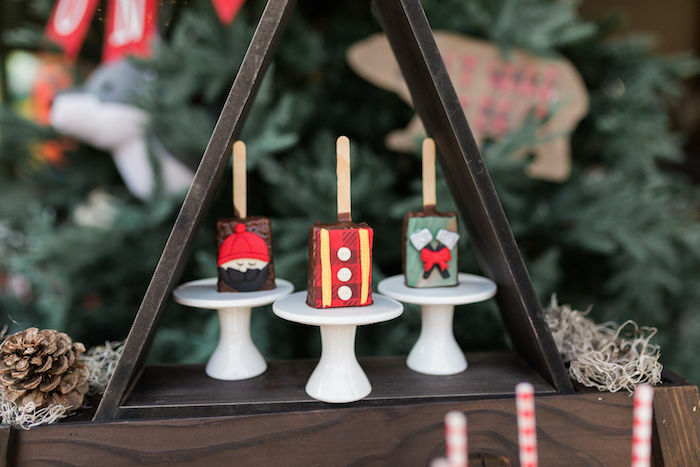 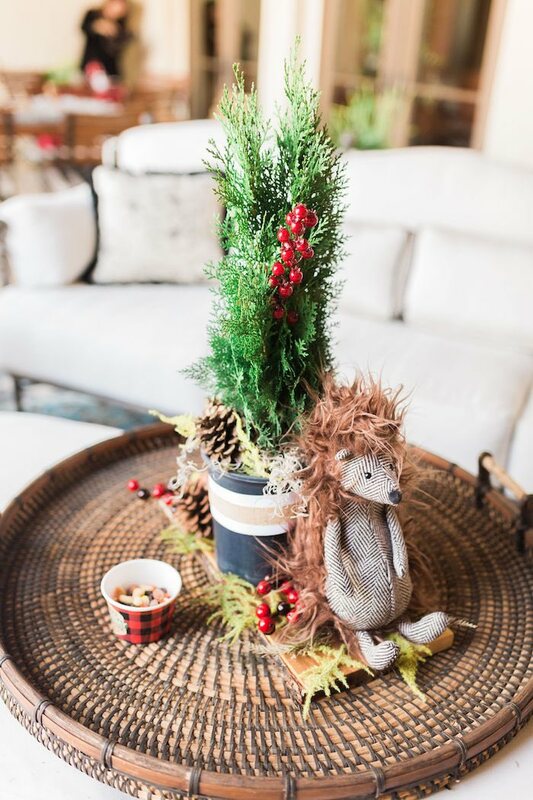 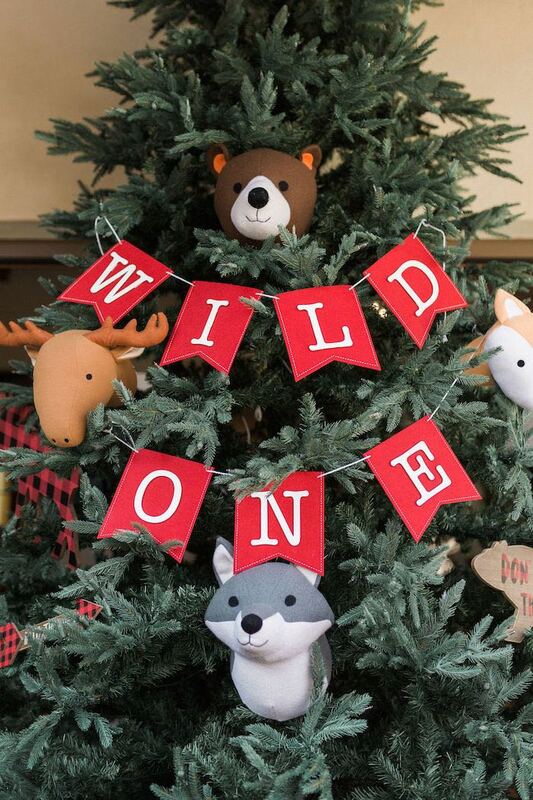 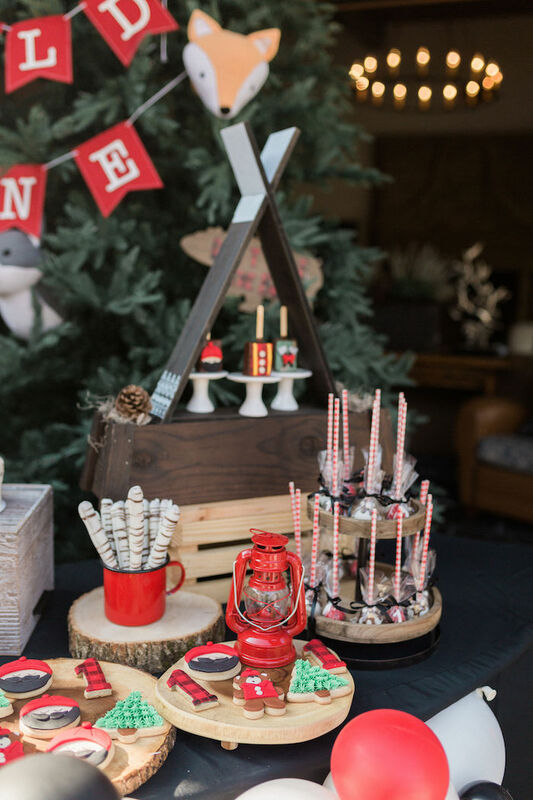 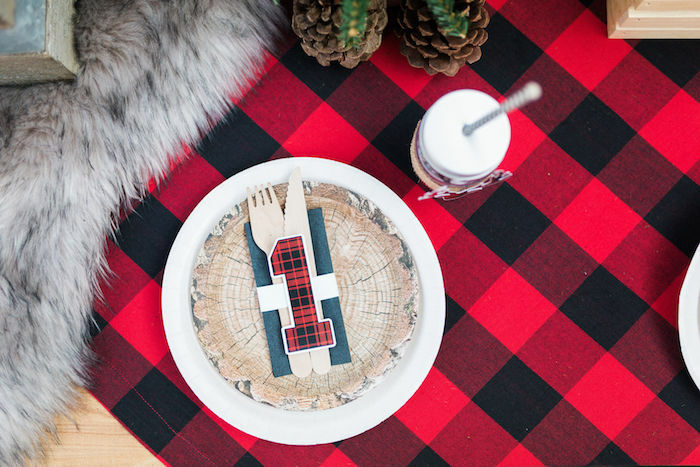 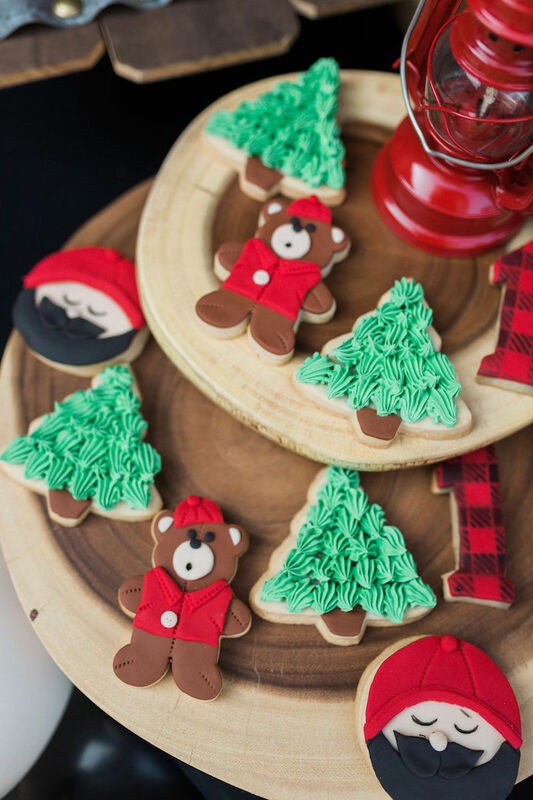 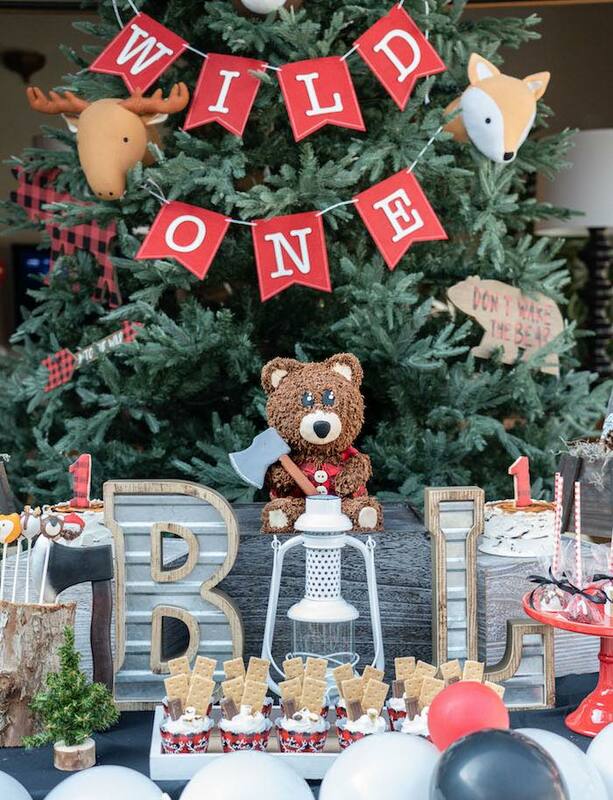 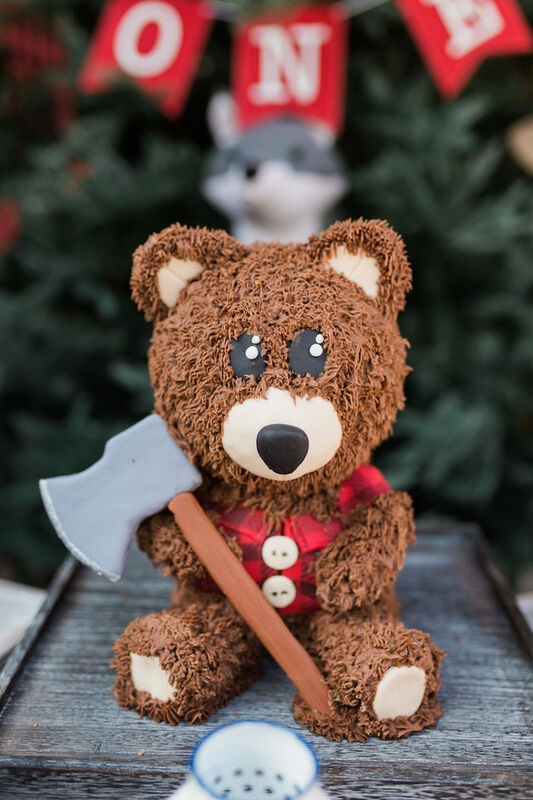 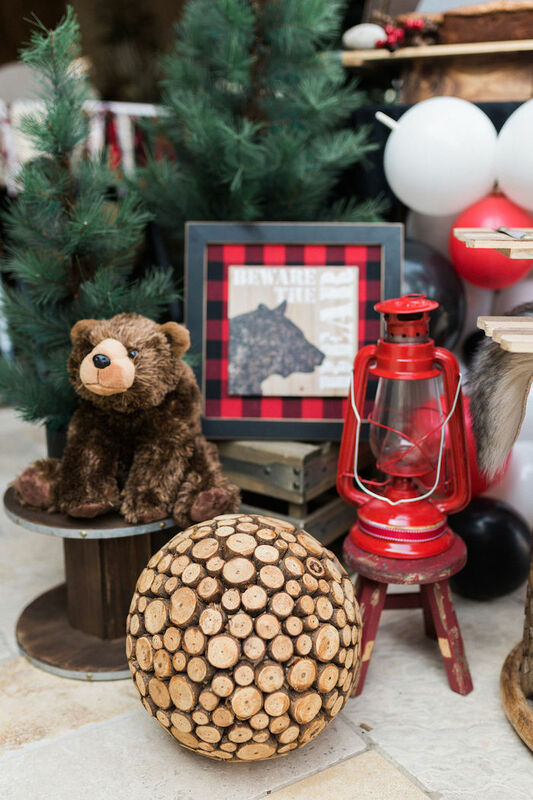 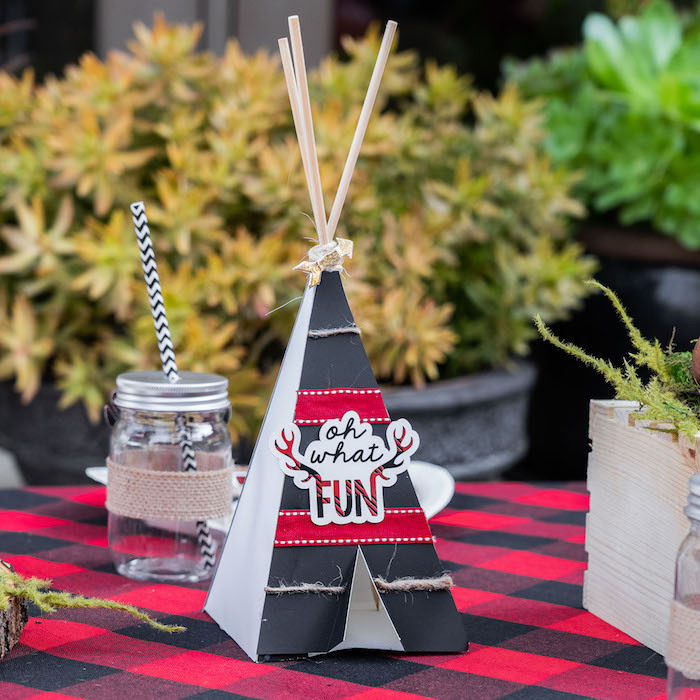 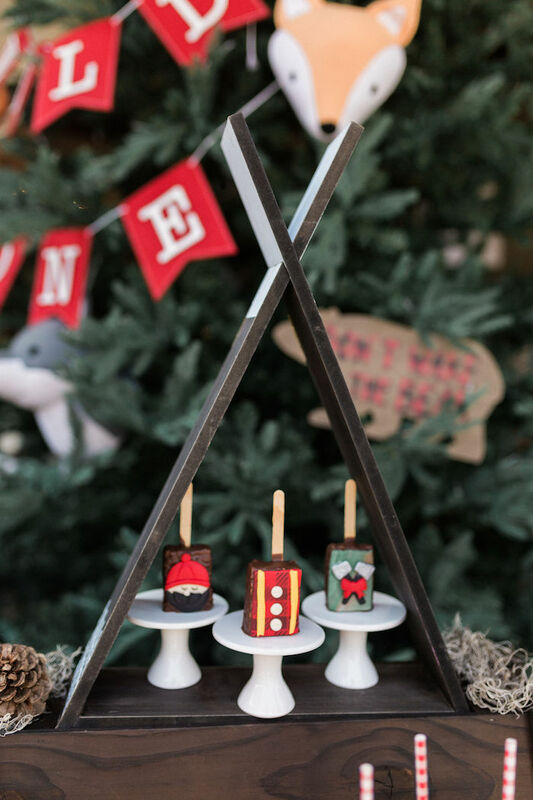 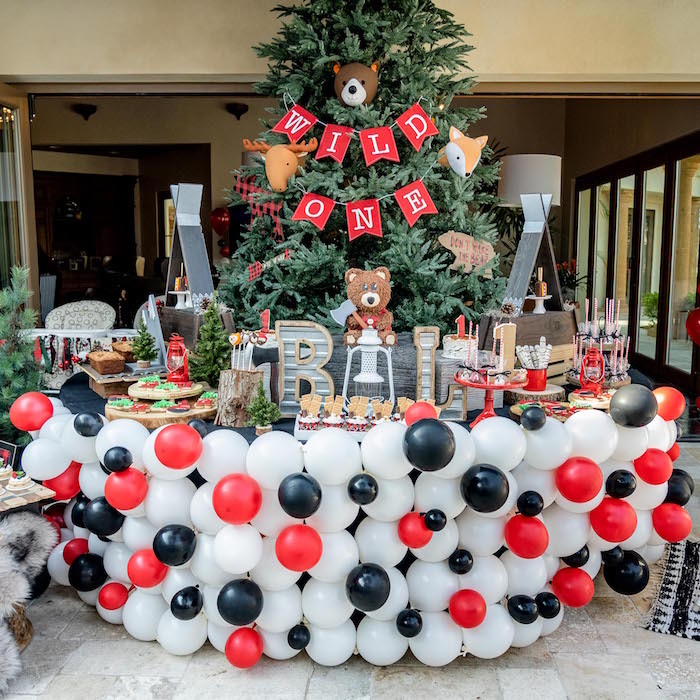 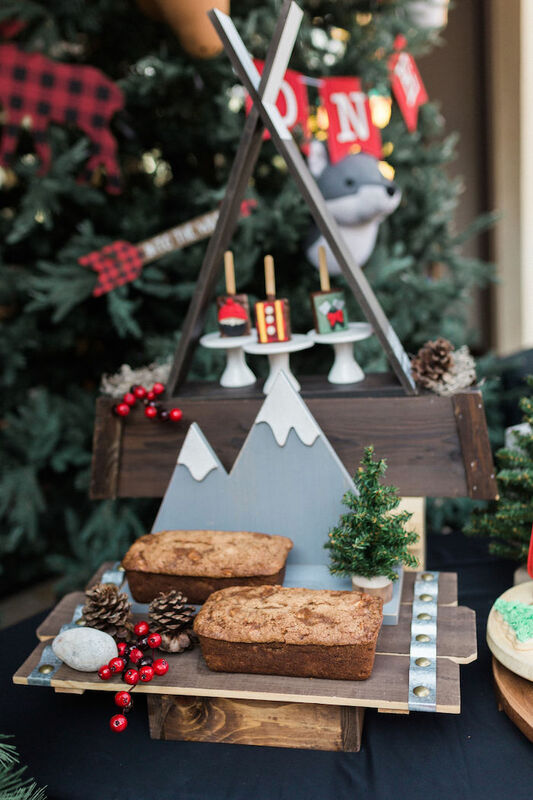 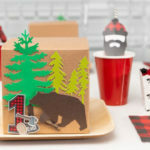 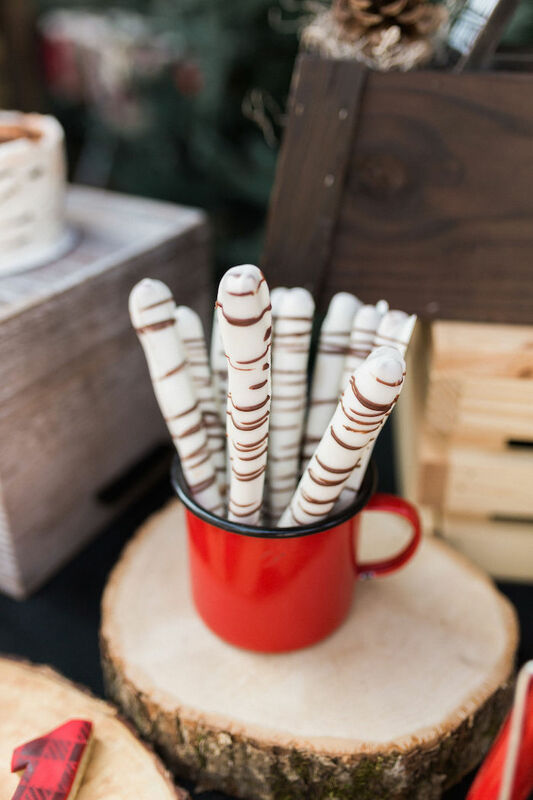 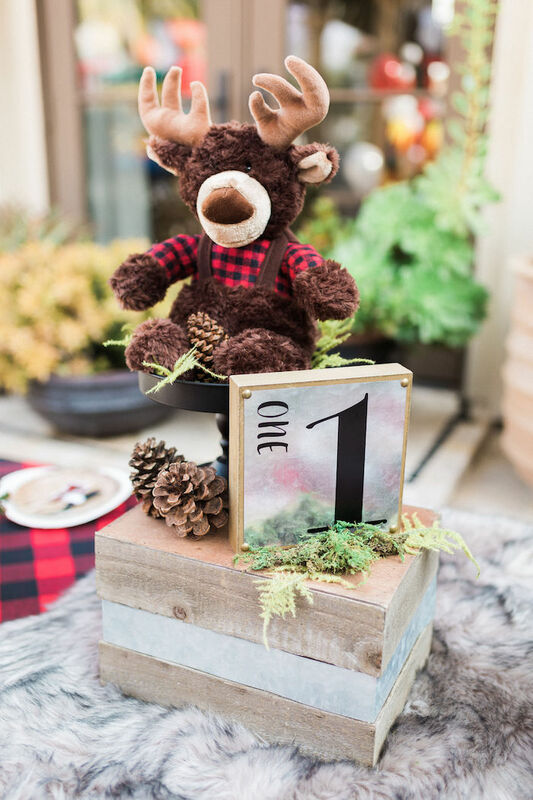 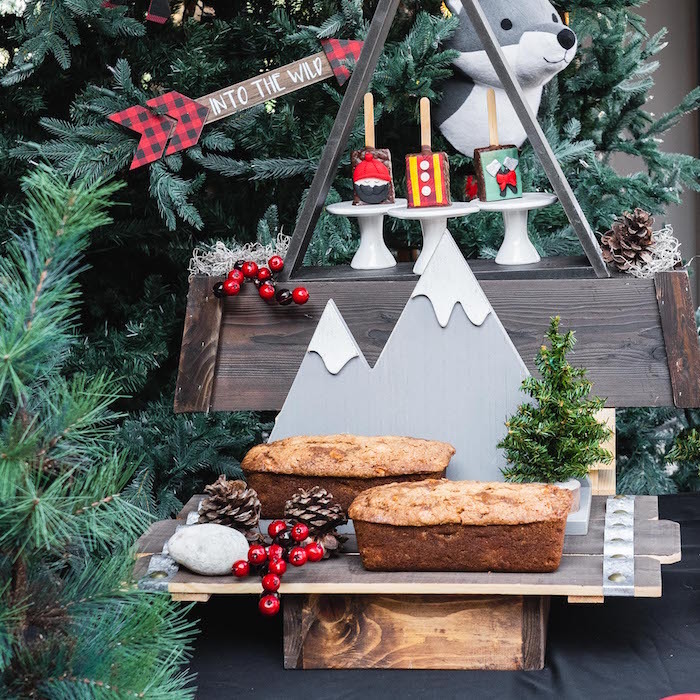 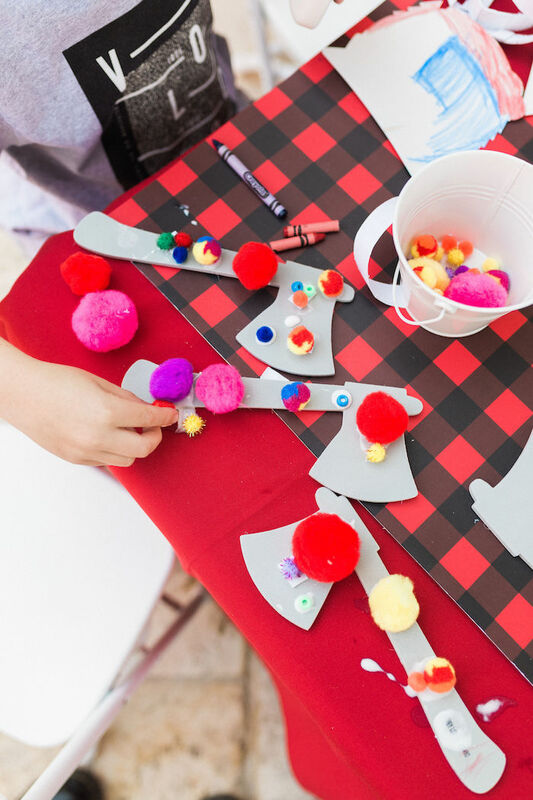 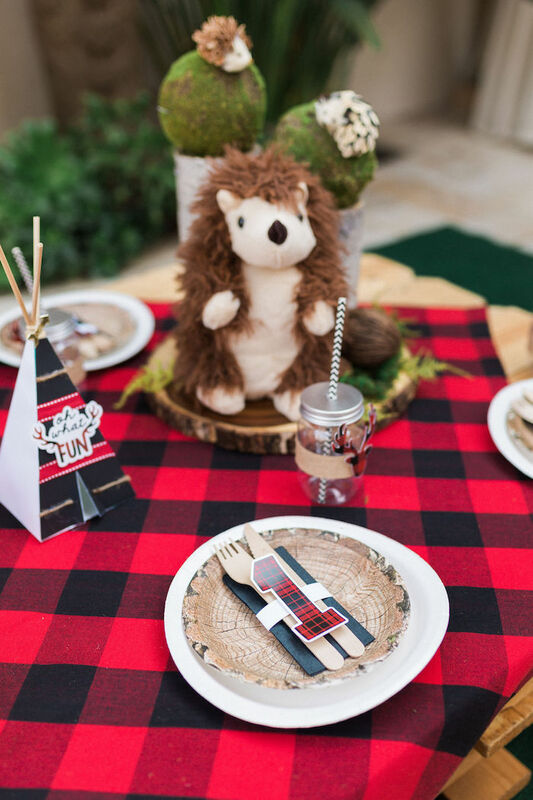 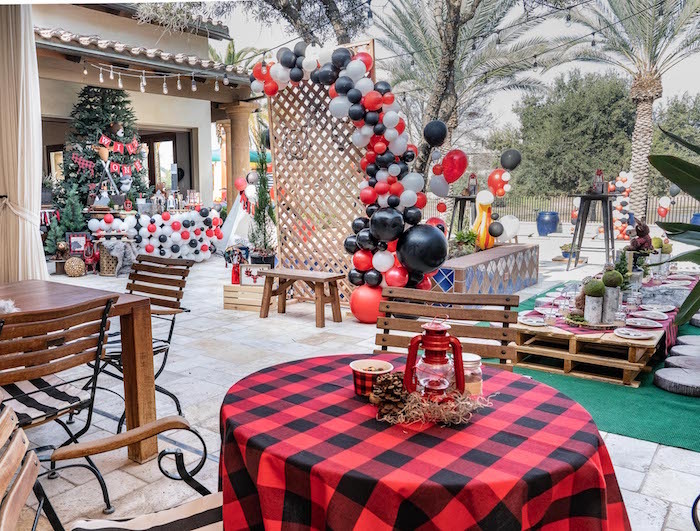 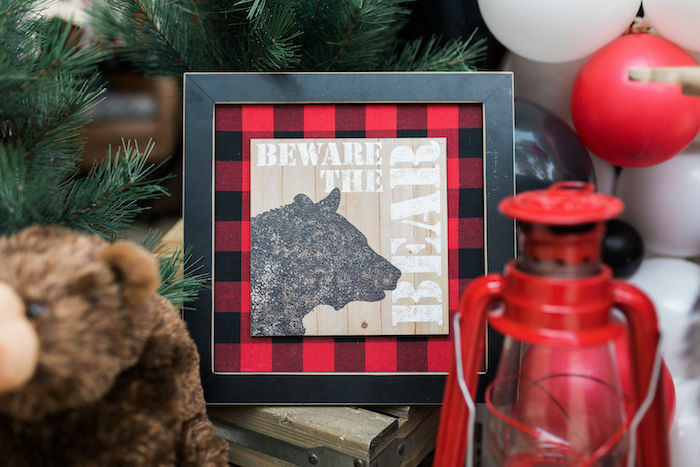 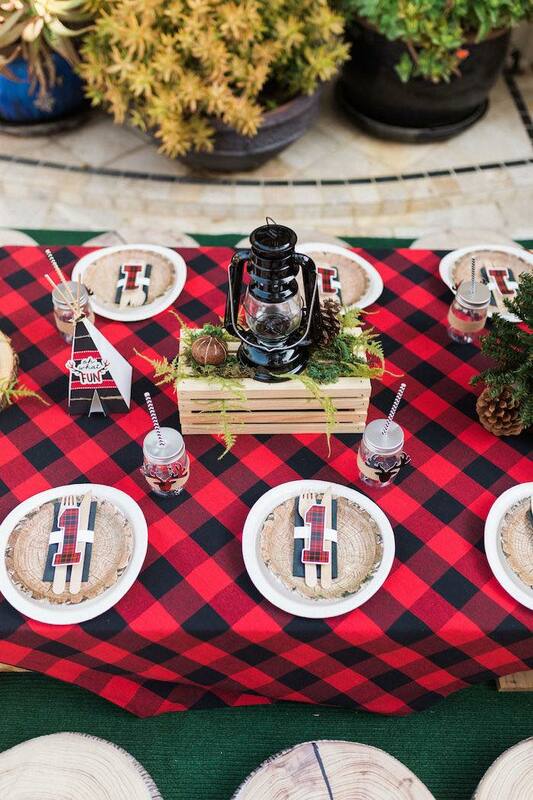 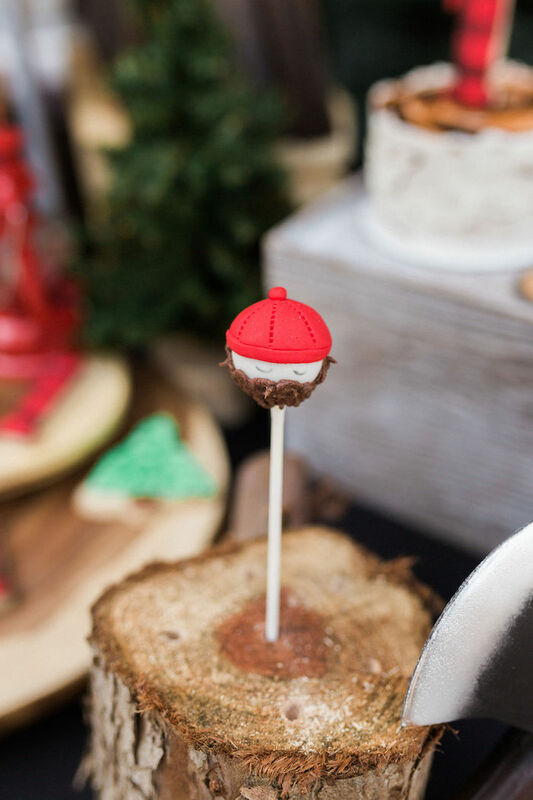 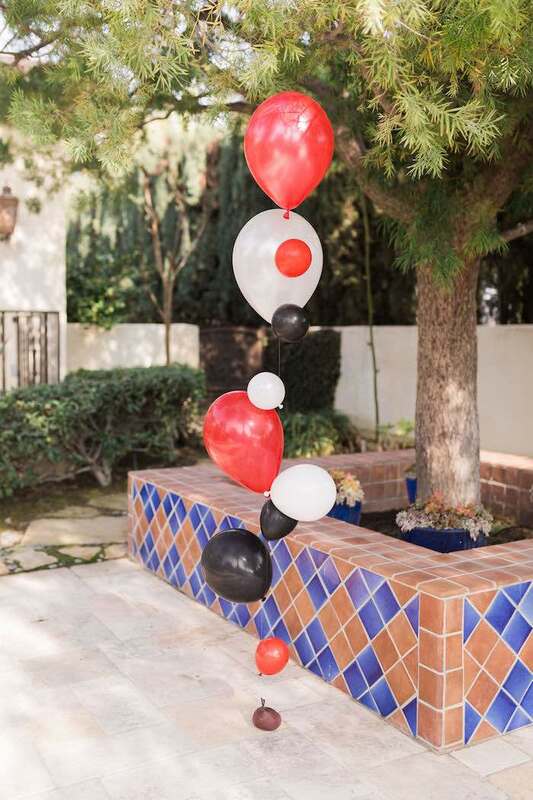 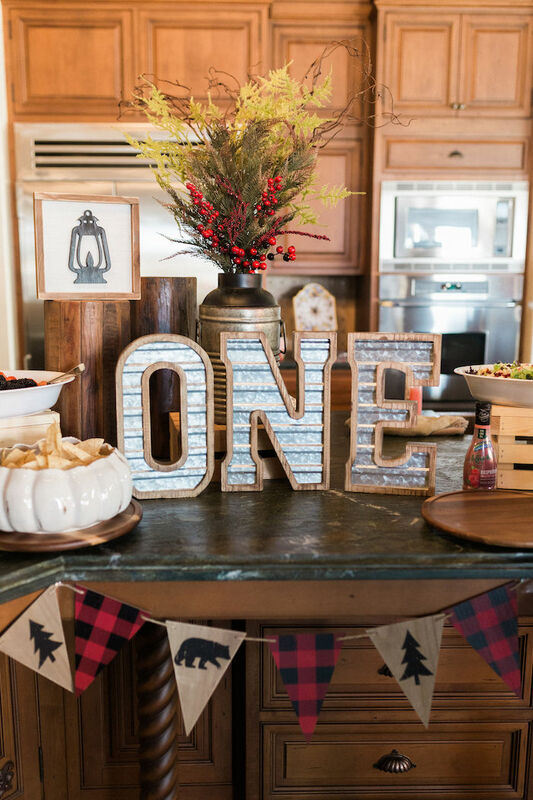 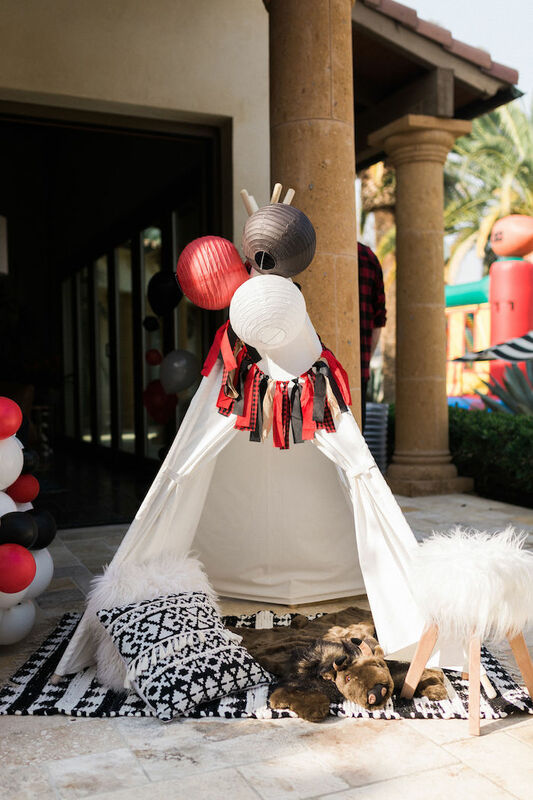 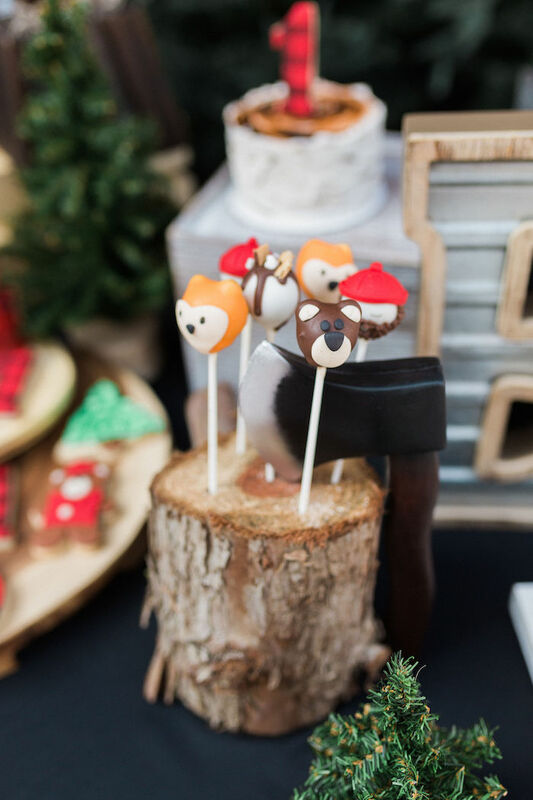 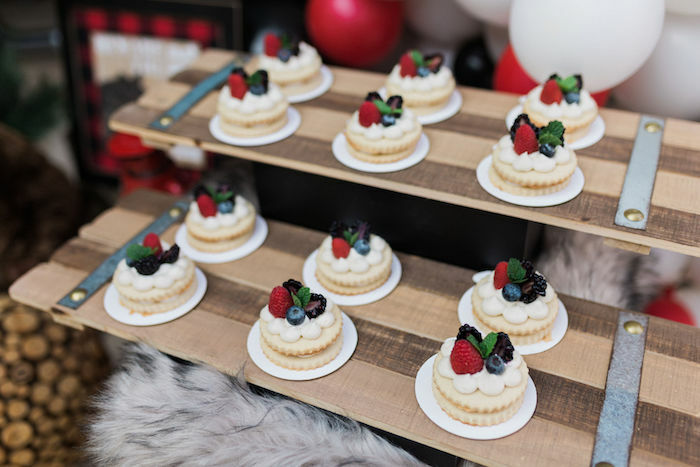 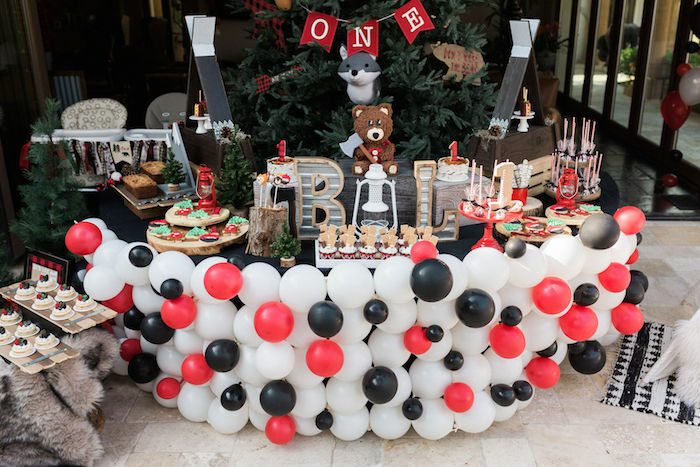 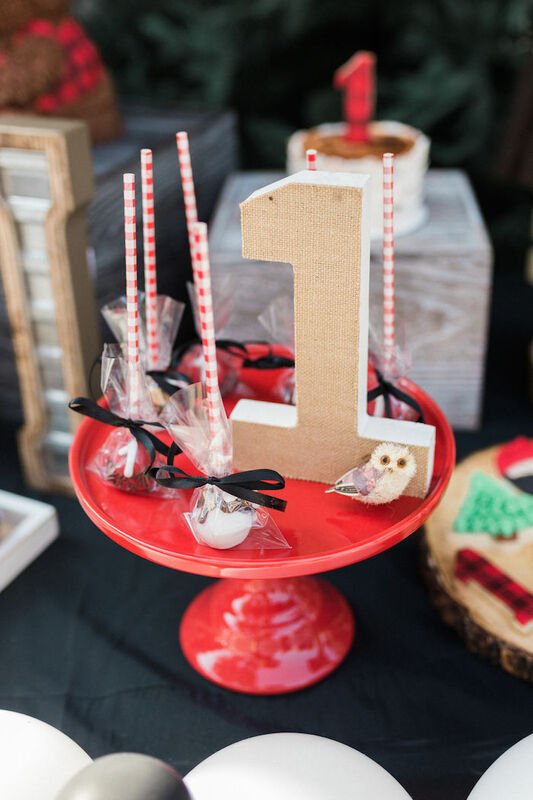 This is what Delfina share about planning and styling the event- “Last weekend our crew had the pleasure to bring to life one of the most beautiful parties we have ever made, a Lumber Jack themed, to celebrate the first birthday of two little cousins, Brixton and Lian. 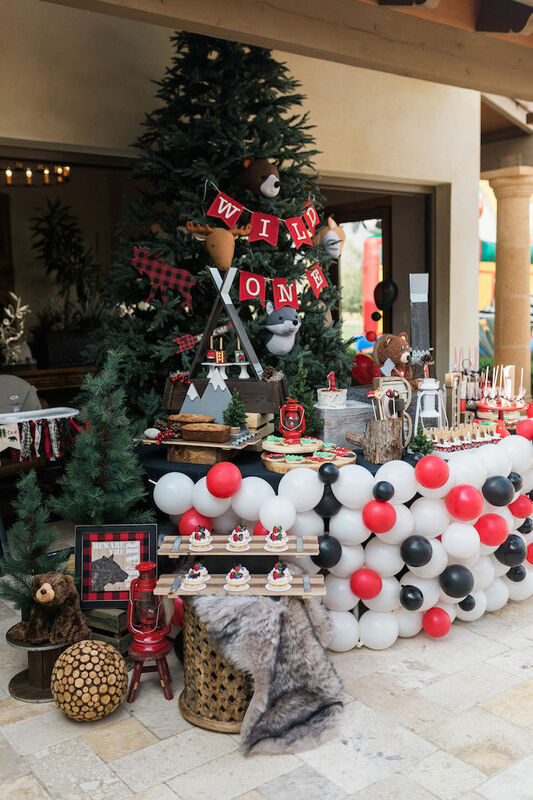 We really enjoy the whole process of planning and design of this event. 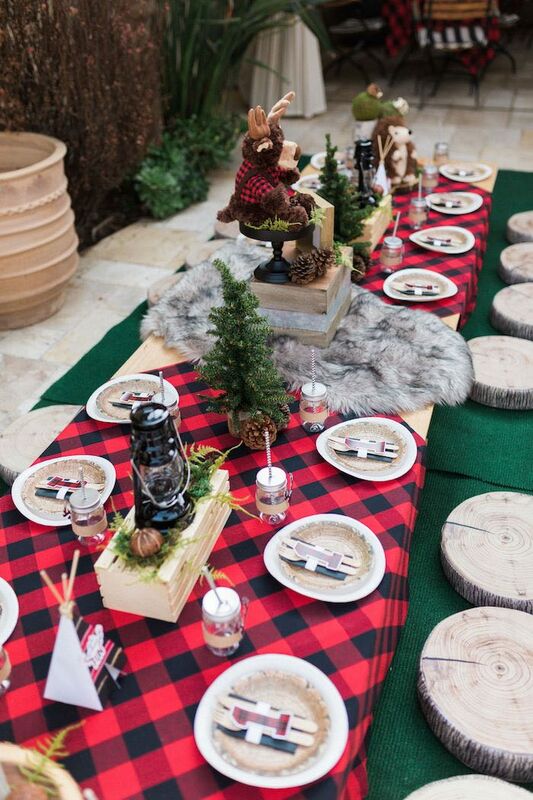 We really loved to use natural elements and textures like wooden, small pine trees and many animals’ details. 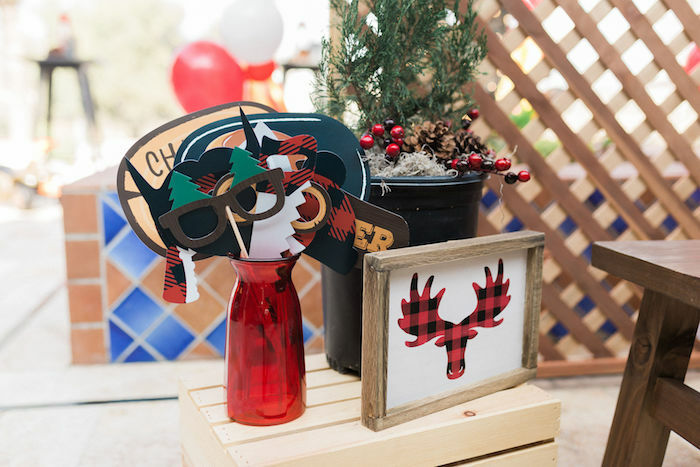 As a mayor highlight, I have to mention that we wanted to have a huge decorated pine tree as a backdrop, and we got it!. 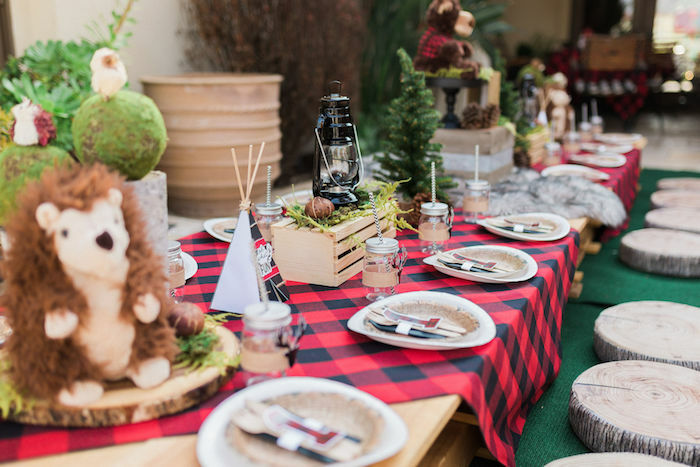 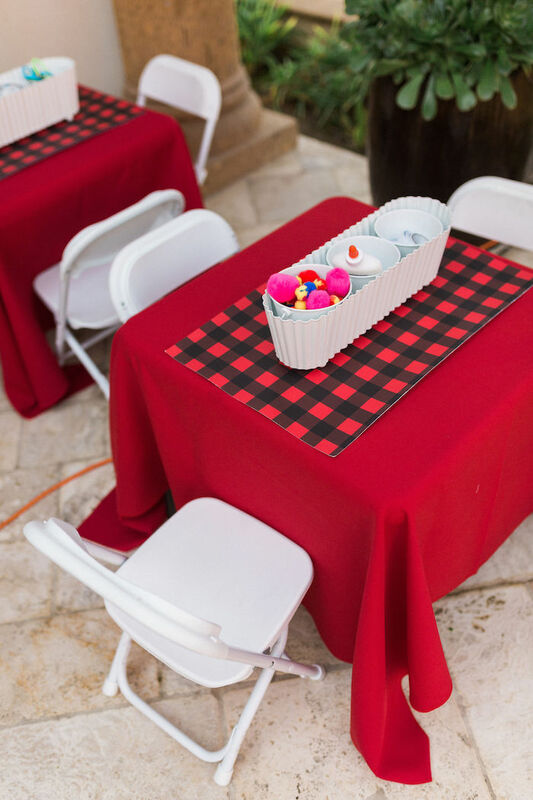 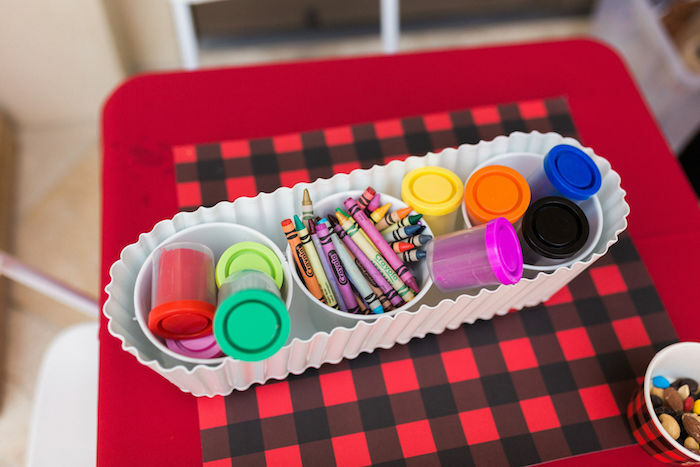 One of our favorites was the kid’s setting, for this project we used a palette table with small cushions as chairs, lumber jack table cloths, a mix of centerpieces and personalized jars. 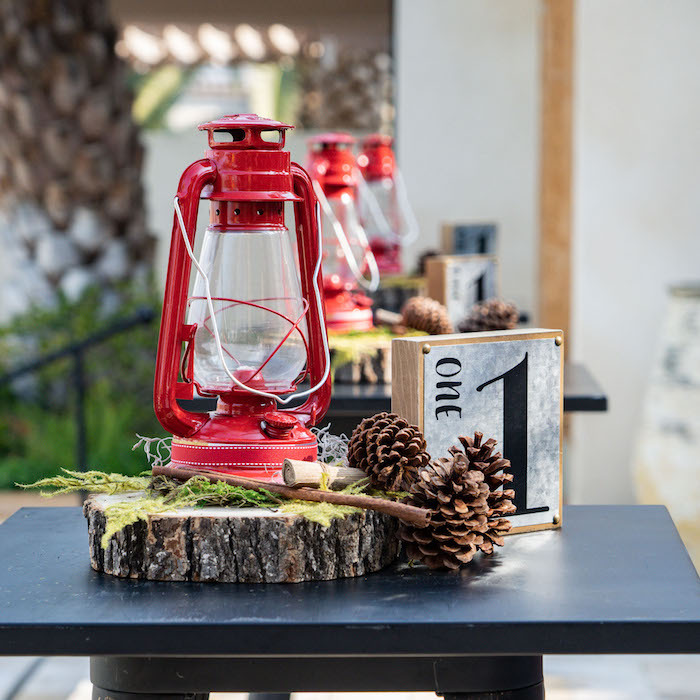 Also, we decorated some beautiful metal cocktail tables with a centerpieces with red lamps and forest elements. 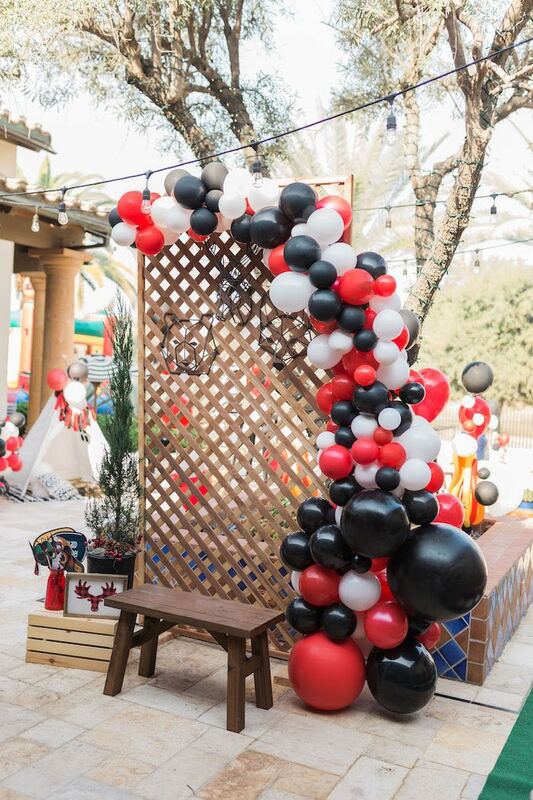 Another favorite spot it was the photo booth with a beautiful organic garland of balloons. 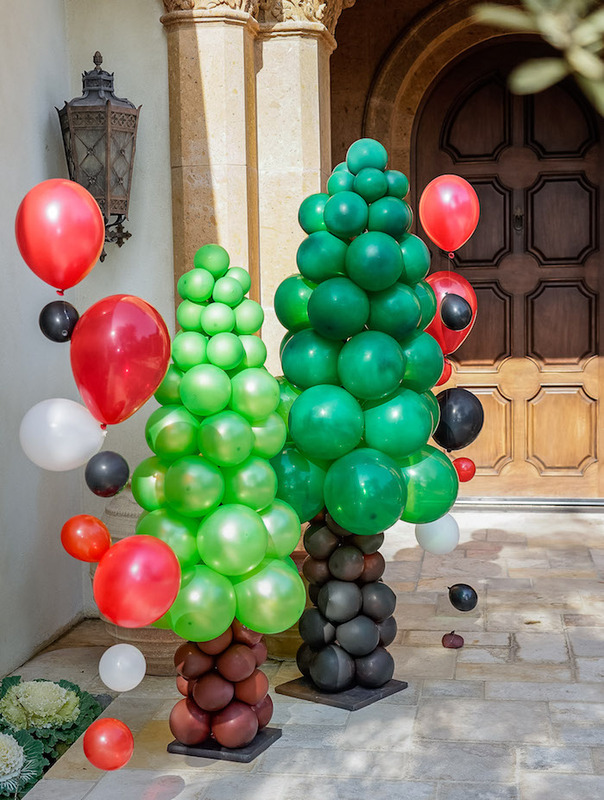 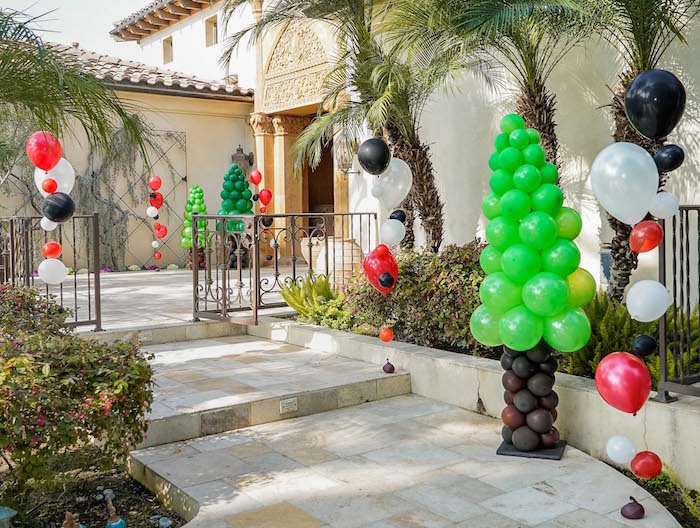 Talking about balloons, they were other highlight on this event we added some pine trees made of balloons at the main entrance and a big number 1 decorating the pool area.